DeMarco Murray was so, so good this year. That will never be denied, and he can always have the 2014 season in his back pocket, but that doesn't mean the Cowboys need to go breaking the bank to keep their free agent running back, either. Murray rushed for more than 1,800 yards and set the new franchise record for rushing yards in a season while earning all kinds of postseason accolades and All-Pro honors, and who knows, there might even be an NFL MVP honor coming his way. But there's only money to sign one of the two offensive stud free agents to a long-term deal, and Murray isn't the one to get the big money. He's coming off a season which saw him turn in a career-high workload with nearly 500 total touches — an insane number. His injury history is extensive, and the 2014 year was the first in Murray's career in which he didn't miss a game. That included playing six days after surgery to repair a broken hand. It was a valiant effort, no doubt, but you have to wonder what the season did to his body. 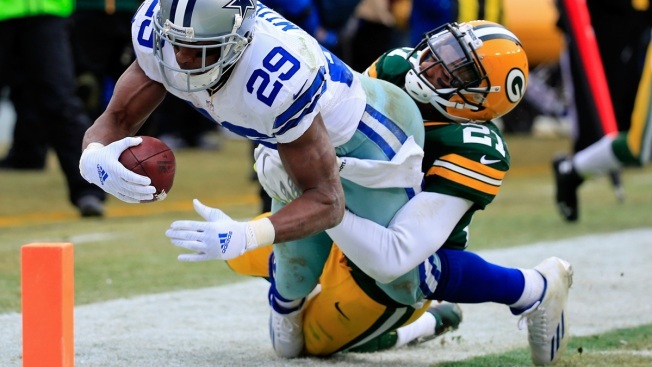 If you want Murray back, and if you're the Cowboys you more than likely do, you can easily have him back without signing him to a long-term deal by placing the franchise tag on him and paying him guaranteed money for a one-year deal with the thought you'd most likely let him walk after next year. There's also a school of thought saying to let Murray walk this year and go sign a free agent running back to run behind the Cowboys' beast of an offensive line. There's one thing that's certain and that's that Joseph Randle and Lance Dunbar aren't the answer as a full-time back, so don't let yourself be tricked into that idea. Ideally, the Cowboys could bring Murray back with the franchise tag, or even on a team-friendly deal, but that's not going to happen and Murray shouldn't be expected to let it happen. It'll be interesting to see what happens on the Murray front in the coming months.